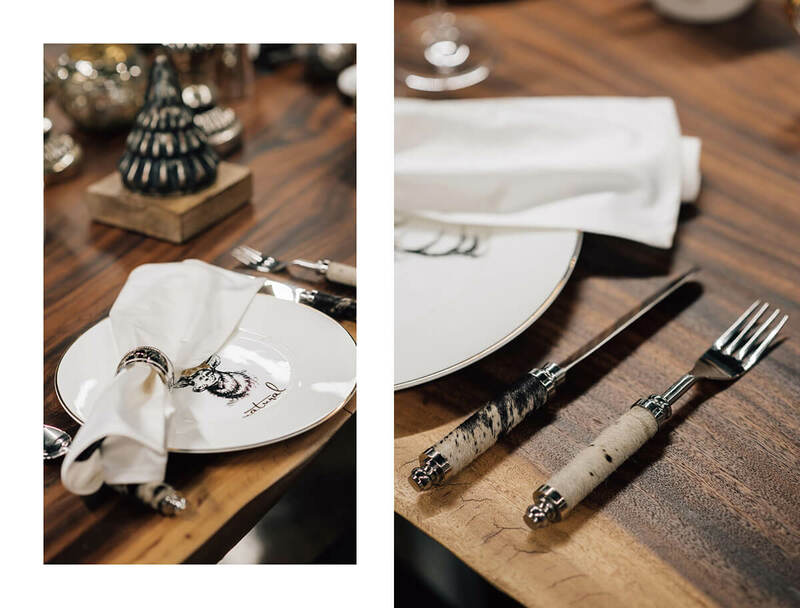 No matter the Christmas menu, a holiday table deserves a special touch. 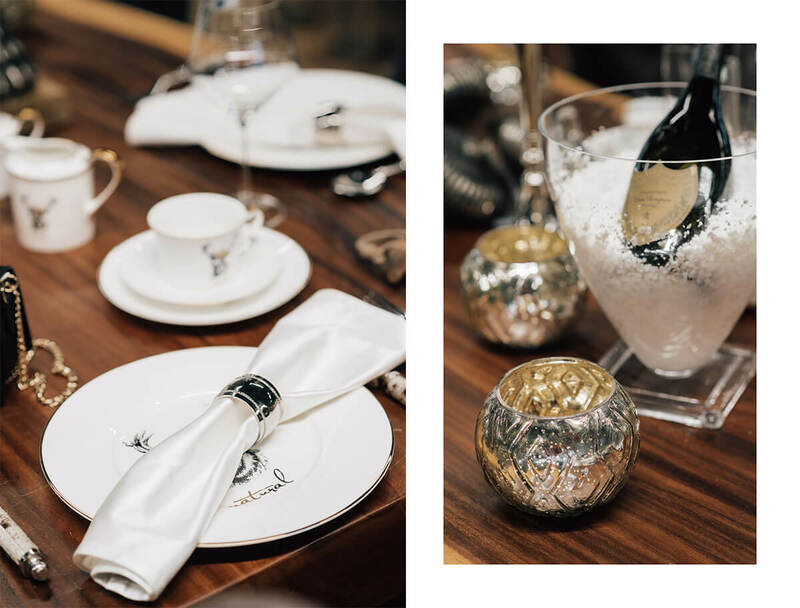 And today’s blog post is all about adding some sparkle to your festive table setting. Together with my blogger friend Tesa (Magnifique blog) I visited the spacious, newly opened Velana living salon and we instantly knew what our first collaboration blog post will be about. 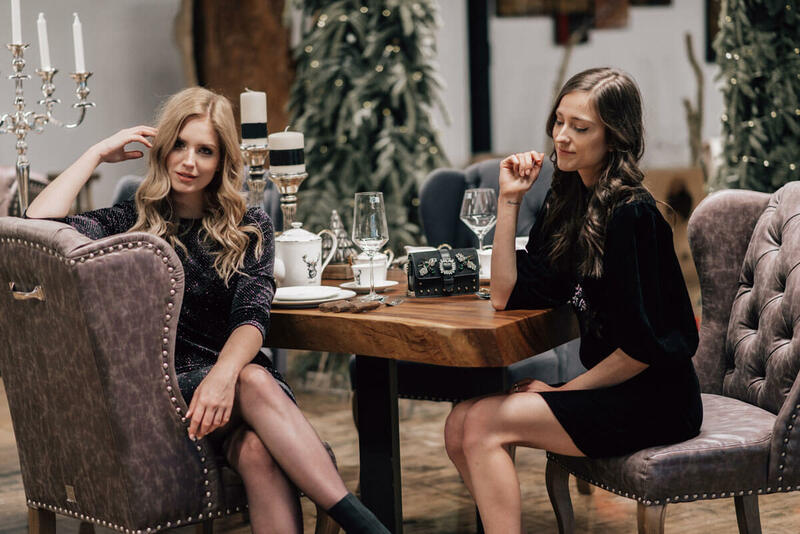 Since Christmas is approaching with light speed and Velana living’s gorgeous solid wood table was so beautifully done with a wintery touch, we decided to use it as a setup for our festive feast photo shoot. 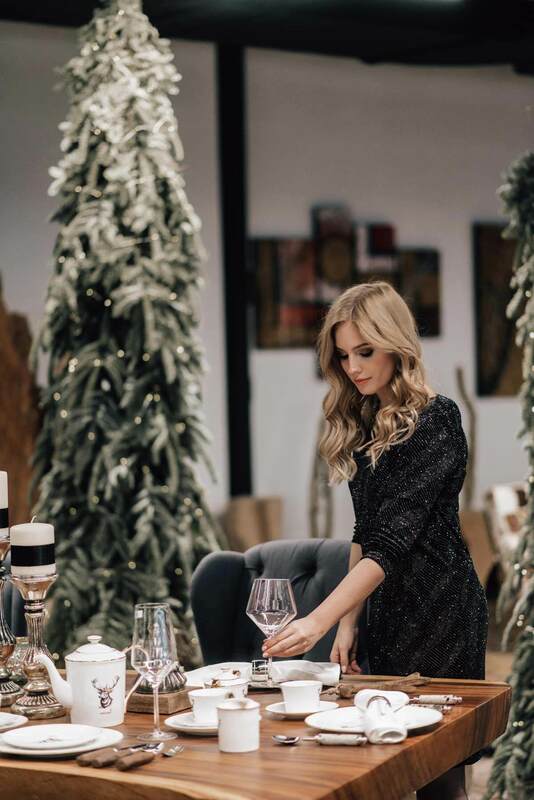 A well laid table, prepared with care and a touch of uniqueness, can add a lot to the Christmas atmosphere. 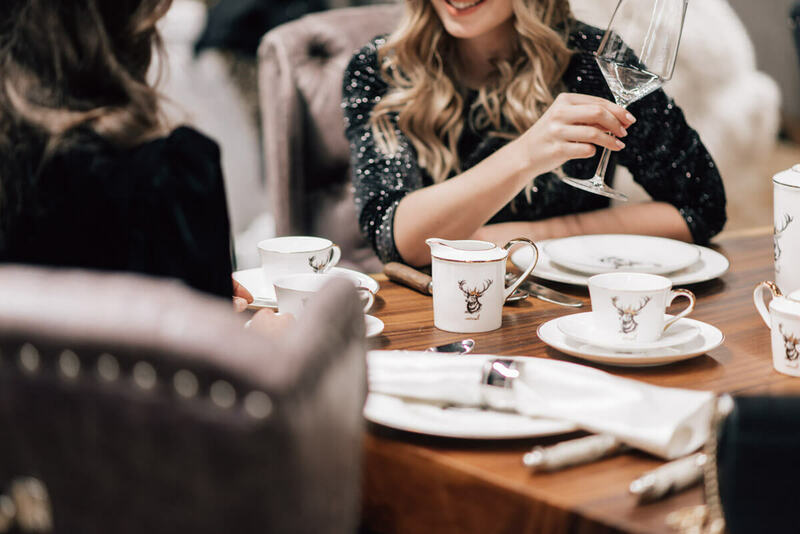 Everything from the table itself, to the decorations, the table setting, the choice of the plates, glasses and cutlery, and of course the selection of the dishes, is all together combined in a perfect Christmas moment that will add a piece to the memory mosaic. 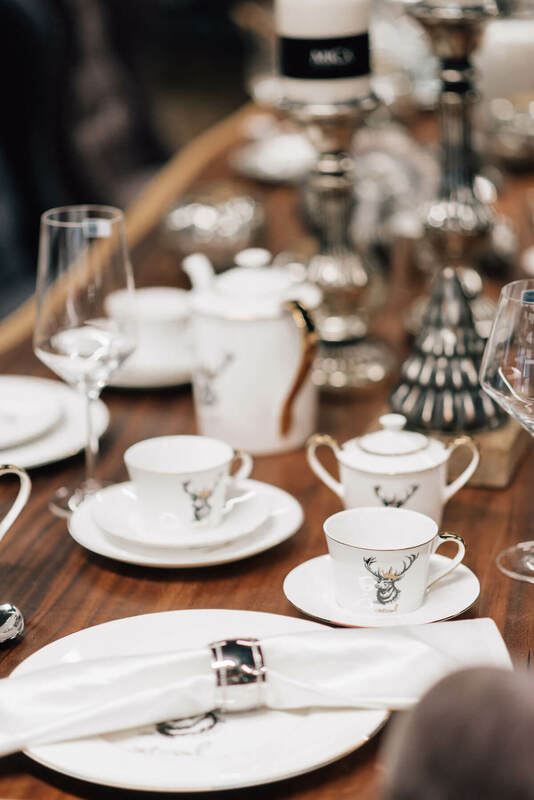 I believe, you cannot go wrong with an elegant setting with a modern twist, just as seen on the photos. 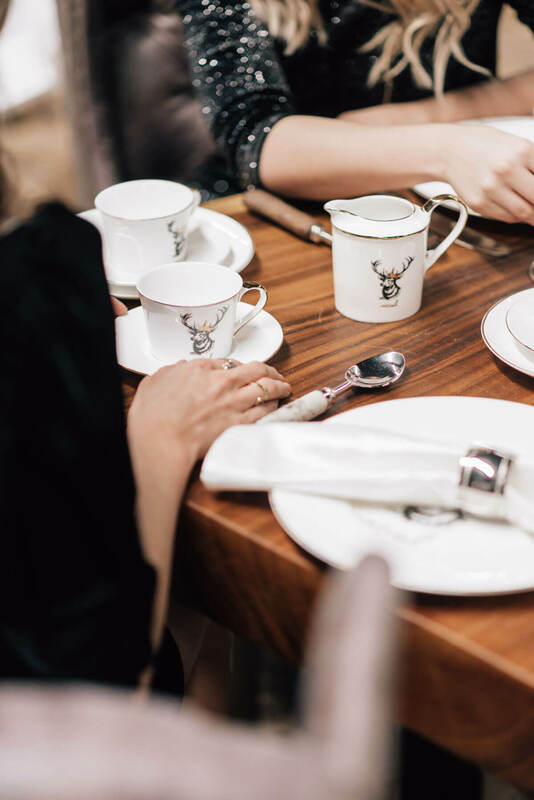 High quality dining pieces are something you won’t regret investing in, especially if they are done with precision, tradition and modern trends in mind. 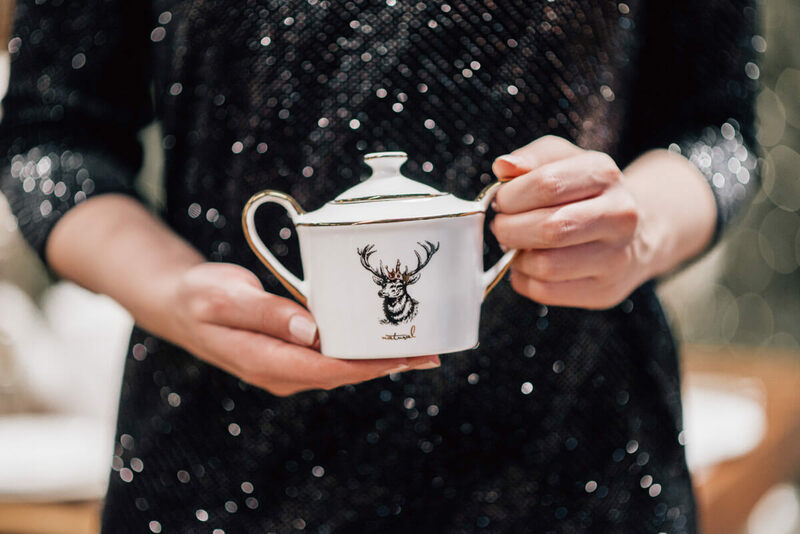 Like the deer themed china, how stunning is it? 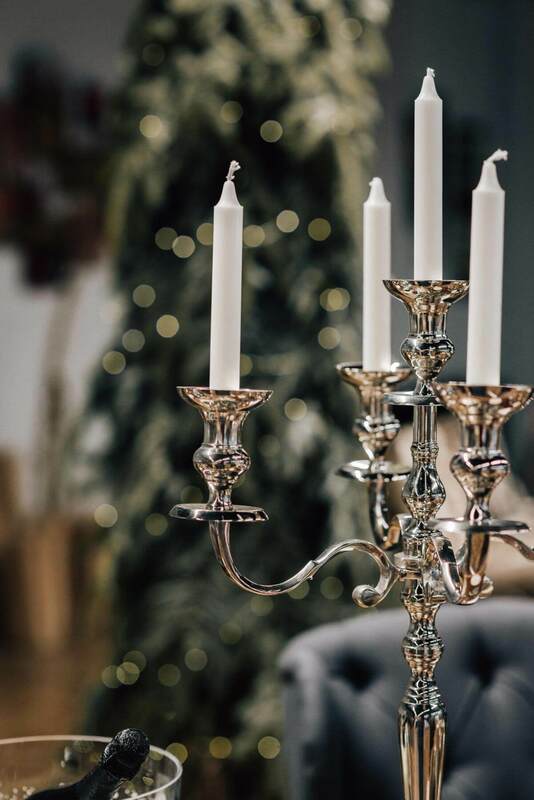 #1 Theme your Christmas table for a dramatic effect. 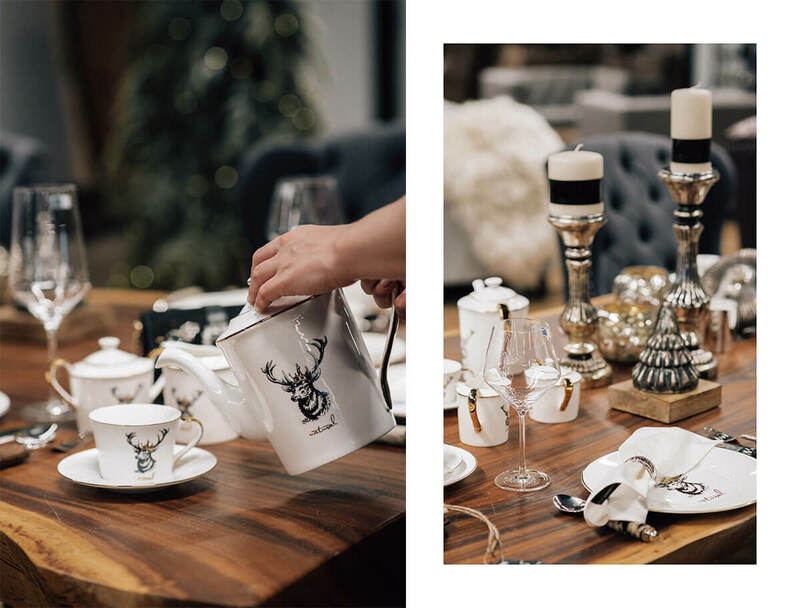 #2 Decide about the colour theme and match the colours to your dining room. 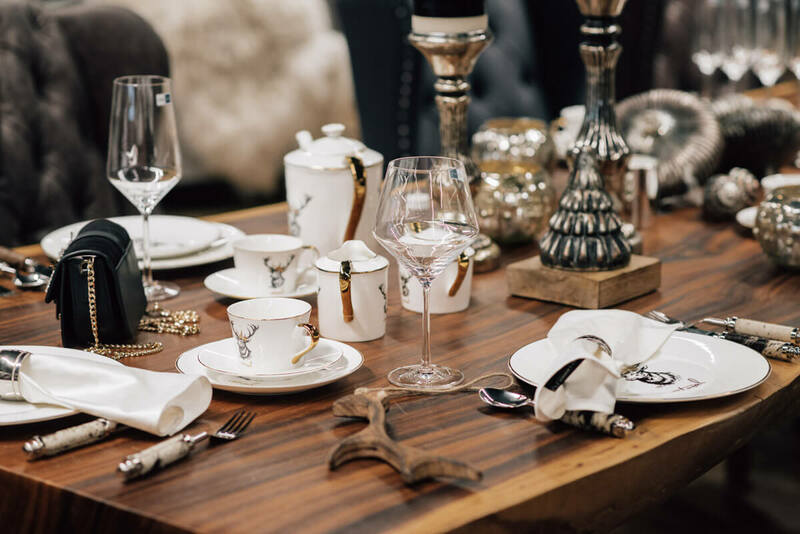 #3 Look for décor pieces that are suitable for more than one occasion. 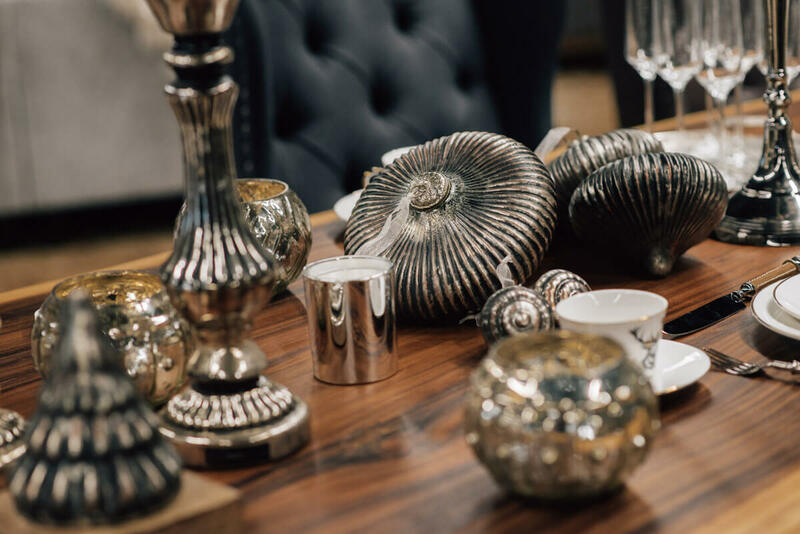 #4 Decide on your centerpiece: like candlesticks and other matching metal decorations. #5 Respect the tradition, but don’t forget to add some modern trends.